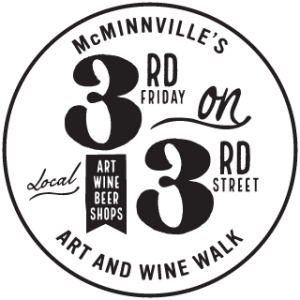 Support the McMinnville Education Foundation on Fridays of odd number months at McMinnville Art and Wine Walk’s 3rd Friday on 3rd Street. MEF members will be selling wine bags with 5 taste tickets, a commemorative glass, and tour map in the Paragon Room at McMenamins Hotel Oregon from 4-8pm. The proceeds on these nights go to the McMinnville Education Foundation. Mark your calendar for this pop-up market with lovely goodies for you and your Mom! Plus wine tasting!An event to support the McMinnville Education Foundation. Check back for more new exciting fundraisers.